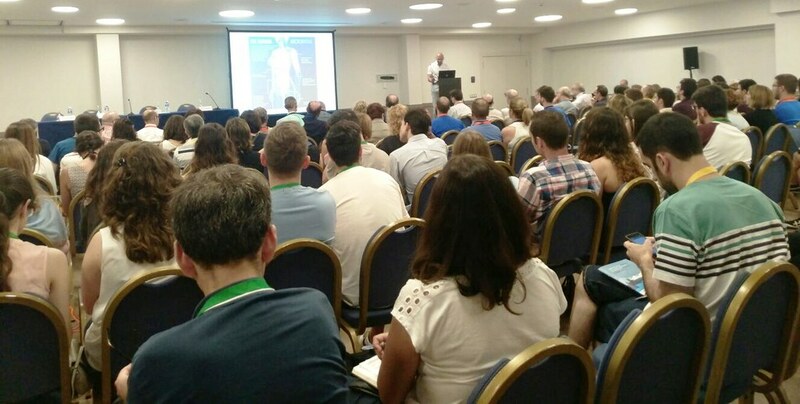 The Spanish Royal Society of Chemistry (RSEQ) celebrated its XXXVI Biennial Meeting in Sitges from 25 to 29 June 2017. "The Biennial" (La Bienal) as it is known by the Spanish Chemical community, is the forum which shows the vitality and the vigor of the Spanish chemistry, and ICMAB didn't want to miss this great event! A big part of our ICMAB researchers were at The Biennial, presenting some posters or giving some talks. The meeting was organized in specialized symposia (24), so a broad range of current chemical research fields were covered: graphene and 2D materials, optoelectronic organic materials for energy conversion, materials for energy generation and storage, polymers for a sustainable development, funtional materials, theoretical chemistry in biomolecules and materials, nanocatalysis, metal-organic (MOFS) and covalent organic frameworks (COFS), etc. Apart from many other poster contributions by other ICMAB researchers. We hope they had a great time!